Opening this week at the Ikon Gallery is the eagerly-anticipated exhibition Varna Road – a photo documentary of 1960s Balsall Heath captured by the lens of American photographer Janet Mendelsohn, then a student at Birmingham’s influential Centre for Contemporary Cultural Studies. John Kennedy looks ahead to the exhibition, and speaks to the curator, Dr Kieran Connell. Already attracting UK media acclamation, the Ikon Gallery premieres the largest photo-essay exhibition to date of Birmingham’s inner suburb Balsall Heath, taken during the late 1960s. Janet Mendelsohn became drawn to record the poverty and the imminent slum-clearance projects, together with the changing social impact of immigration from South Asia and the West Indies. Her unsentimental but empathic befriending of a young prostitute she named Kathleen perhaps singularly defines the humanity – not least personal tragedies – portrayed in this exhibition. Ambiguous nostalgia rubs grittily alongside the burdened shoulders of characters for whom the swinging 60s might well be a metaphor for the hangman’s noose of debt, malnutrition, pimp violence and burgeoning racism, though with spectre of hard drugs yet to be unleashed. This was a 60s where popular armchair media became self-aware, with the transmission of Cathy Come Home (BBC, 1966, dir. Ken “Kes” Loach) shocking and galvanizing the nation, prompting the formation of the charity Shelter. This was the late 60s, 1969, where, as Neil Armstrong took his first giant leap, an emboldened young Mendelsohn stepped along the litter-strewn pavements of Varna Road. Captured moments, worlds apart. This was a Birmingham about to spawn the foetal genesis of the metal-bashing band Earth – later to mature into Black Sabbath. Four Swarfega-soaked, disgruntled working-class lads from nearby Aston who got out of the drudge and into some serious pharmaceuticals – allegedly. A UK where laws regarding consensual homosexual acts over the age of 21 had only recently been passed. Where legalised abortion had just became an alternative to backstreet quacks or shotgun marriages, albeit all still regarded by the moral guardians as a heinous ticket to Hell – look to Northern Ireland 2016 for similar enlightenment. This was a time when both Coventry and Birmingham’s planners had done to their city centres what the Luftwaffe could only have dreamt of. And the soon-to-be defining aesthetic of the brave new Bull Ring would be a 20-foot purple fibreglass King Kong. In Mendelsohn’s photographs, her characters, settings and poignant narratives challenge our ability – and willingness – to assimilate their past and present social contexts. They are of a specific time but remain timeless. They speak for themselves – they speak to us – in images of a Birmingham nearly five decades past, though with inference whispers of a Dickensian anytown. But equally, they resonate within our fractious, ambiguous self-perceptions of what our contemporaneous “Big Society” versus the welfare state by proxy has achieved since, or dares hope to. Brum Notes was fortunate enough to be able to interview Kieran Connell and chat further with him and colleagues during the initial installation of the exhibition. 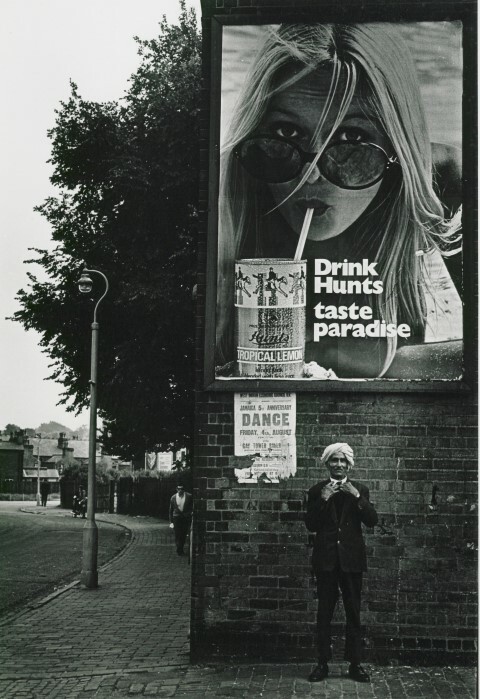 In your essay The Changing Face Of The Post-War City: The Photography Of Janet Mendelsohn (MBS Birmingham, December 2014), you wrote, “I curated an exhibition of artwork at Mac, Birmingham. It was a fairly stressful experience. Admittedly, this was partly because at the time I really didn’t know all that much about contemporary art. But it was also stressful because of the subject matter. 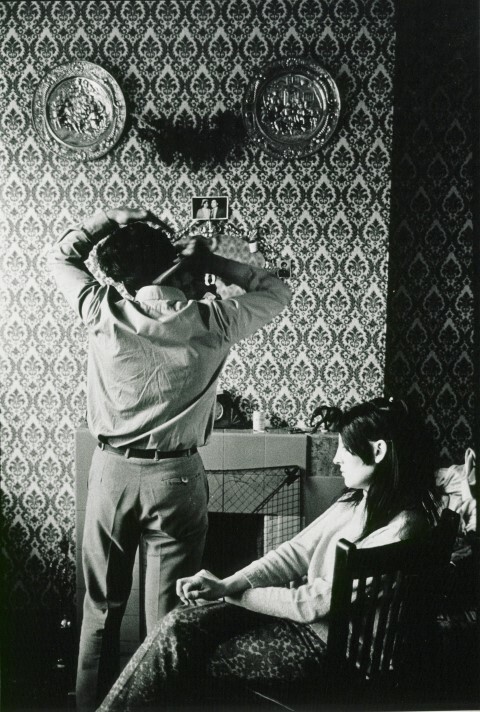 It turned out that finding ways of communicating counter-hegemony, conjuncture or any of the Centre’s other famed theoretical concepts to non-academic audiences through art was even harder than it sounds.” Is it fair to ask that Janet Mendelsohn’s original project was driven by a socio-political agenda? KC: I think so. She was studying at a research centre that was in the late 1960s highly political. In late 1968 many of her peers were involved in a sit-in on the university campus that locked the university vice-chancellor out of his offices for a week. There was a demand for more student say in the way universities were being run, but also a commitment to the importance of taking working-class culture in its myriad forms seriously. Cultural studies evolved out of this commitment and you can see in the sensitivity with which Janet treated her subjects that she too had a strong commitment to this ethos. Photography as “a tool for cultural analysis” – who first originated this description, and might you be able to elaborate? KC: This was how the Centre for Contemporary Cultural Studies described what Mendelsohn was doing. It’s important to remember that at this point cultural studies as an academic discipline was virtually unheard of. The Centre had only been established in 1964, three years before Mendelsohn arrived in Birmingham. Prior to that, cultural studies did not exist in any institutional form. So Richard Hoggart and Stuart Hall – director and deputy director of the Centre – were remarkably open to new methodologies. This included using photography as a way of doing ethnography and academic research. Tell us how Janet Mendelsohn later came to donate her collection to the Cadbury Research Library, and some background to the CRL. 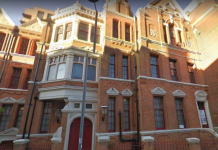 KC: Along with my colleague at the University of Birmingham, Professor Matthew Hilton, I was working on a project to mark the 50th anniversary of the establishment of the Centre for Contemporary Cultural Studies. The Centre was controversially closed in 2002 but we felt that its importance and legacy needed to be recognised. As part of this I curated an exhibition at Mac that brought together a range of artists whose work encapsulated the kind of thing the Birmingham Centre was interested in. But we kept coming back to a single image, of an Asian man standing beneath an advert for a soft drink, which appeared on the front cover of one of the Centre’s annual reports. Inside was a credit to Janet Mendelsohn, whom no-one had ever heard of at this point. I managed to get hold of an email address for her and sent many emails asking about the rest of her archive. In the end she emailed back! After a few phone conversations she sent the whole of her archive, which had not been seen in public for almost half a century. This archive is now open to the public at the Cadbury Research Library, which is based in the heart of the University of Birmingham campus in Edgbaston. Visitors can search the archive online. What is referred to as the Hunts image, the suited Asian gentleman below the advertising billboard, has generated considerable comment and diverse, sometimes entertaining, interpretations – not least yours and other colleagues’. Do you believe that was Mendelsohn’s intention? Was it a spontaneous shot? 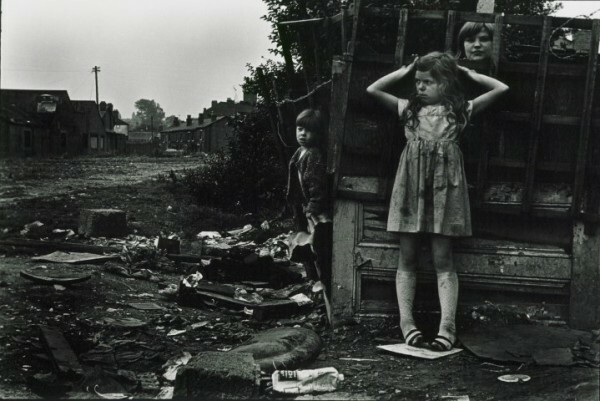 It echoes any number of Don McCullin portraits from his 2009 exhibition In England. KC: That’s the age-old question with this kind of photography – the extent to which images are staged. Ultimately it’s impossible to know but I think it’s worth putting yourself in Mendelsohn’s shoes as a young, white, highly-educated American woman in an ethnically-diverse, poor red-light district in late-1960s Birmingham. She was quite obviously an outsider but perhaps that made people more open to her lens, more willing to share their lives? How did the collaboration with the Ikon Gallery come about? KC: We were determined that these photographs got the audience they deserved – they are clearly of local interest but they are of national and international artistic significance. Ikon seemed like the best place to reach these audiences. The conversation with Jonathan Watkins, director of Ikon, was very simple. I showed him the work and asked if he wanted to do a show – and he said yes! We understand that Mendelsohn has had no direct input into this current exhibition, that she resides in the US and is unwell. Can we ask after her situation? KC: Janet unfortunately suffers from ill health at present but I have met her and she is absolutely delighted her work is now generating such a wide audience, after 45 years or so when it has just been sitting in her cellar. I think the word she used when I met her in person was magical. Janet Mendelson: Varna Road opens at Ikon on Wednesday January 27. 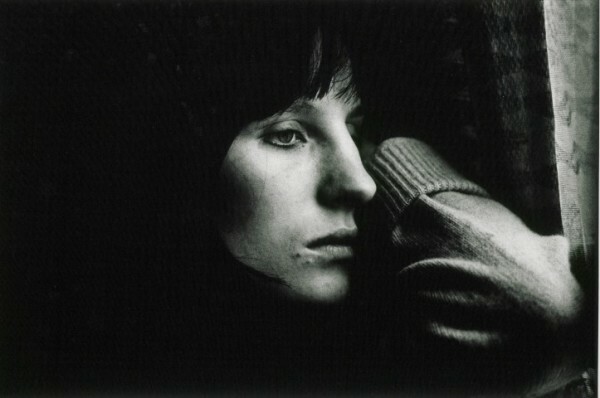 For more information, visit https://ikon-gallery.org/event/janet-mendelsohn/. 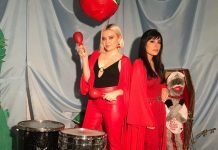 Next articleLive review: Gang + Youth Man + The Terror Watts, The Sunflower Lounge – 22/01/16.